The World Nuclear Association (WNA) recently announced that Agneta Rising will become the Director-General of the Association starting January 1, 2013, taking over from John Ritch. I had previously reported on John's intention to leave that post. In my earlier post, I noted that John Ritch took the helm of the WNA when the organization morphed from the Uranium Institute to its present incarnation. John brought a tremendous amount of energy and vision to the organization, and deserves a large share of the credit for making it the important and influential force it is today in the global nuclear community. I said then, and I reiterate now, that he will be a tough act to follow. If anyone can fill John's very large shoes, it is Agneta. The metaphor of a "rising star" seems appropriate for Agneta in more ways than one! She comes to the position with a distinguished background herself. She is currently Vice President Environment at Vattenfall AB in Sweden, and has worked in various other positions in Vattenfall since 1980. Within Sweden, she has served on several government boards and advisory groups on nuclear matters. 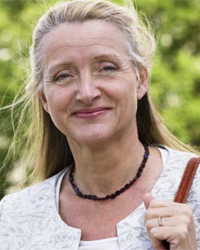 Agneta is also well known on the international scene, having served as president of the Swedish Nuclear Society, the European Nuclear Society, and as a founder and president of Women in Nuclear (WIN), an organization with members in over 50 countries. 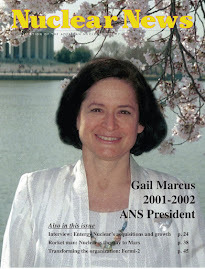 She has also been associated for a number of years with the WNA and its predecessor, the Uranium Institute, having served as chairman during the transition. Although it's been several years since I've seen Agneta, I got to know her 10 or 15 years ago through some of our mutual interests in nuclear professional society activities, so I personally know that she brings a great deal of enthusiasm to her work, and has an outstanding ability to work with other people. Her selection is an excellent choice that will help continue and further develop the important work of the WNA. I wish John the best in his "retirement"--although, knowing John, I suspect he will not stay retired for long!--and I wish Agneta the very best as she takes over this key position in the global nuclear community.